Instead of posting my Saturday highlights from around the blog-o-sphere I thought I might be nice to talk about my (not really so much a secret) blogging passion - 5 Minutes for Books. Our managing editor, Jennifer from Snapshot works really hard at keeping the team on their toes by pushing us to read new things and - more exciting to me anyway - getting the most out of being a part of the team as we possibly can. We're always brainstorming to see how we can make 5 Minutes for Books better and more exciting for YOU! We listen to your feedback and want to bring you more of what you love so we appreciate involvement from comments to carnival participation. I wouldn't participate and be a part of the 5 Minutes for Books team unless I a.) really enjoyed it and b.) thought it was a worthwhile use of my time. I DO think it's a worthwhile use of my time and I also really enjoy it so it's a win-win situation for me. I love reading and talking about books and the ideas behind them and my team involvement makes me more aware of what's going out in book land. I love it. So I'm excited to share some of the more recent reviews with you, in case you missed them and introduce one of the new ideas for the site. For starters, we've started a new feature called A Book and a Craft wherein Marie from Make and Takes shares a craft idea to accompany a picture book. This is in keeping with my new ideas for this blog (Reading to Know) wherein we look at various toys, games and instructional materials to help build a love of reading. You'll see bits and pieces of these ideas from time to time but to get started, check out Marie's ideas for Is That You Winter? Another fun review recently was Mistaken Identity which Melissa talked about. This book tells the story of Whitney Cerak and Laura Van Ryns who were involved in that fatal accident on April 26, 2006. Their story gained national attention when it was discovered that the wrong girl was pronounced dead and was buried. Five weeks went by before the error was corrected and the girls were correctly identified. It's a story that defies imagination and I had forgotten that the families had written this book. Therefore I was delighted to see Melissa had reviewed it and I can't wait to read it myself! 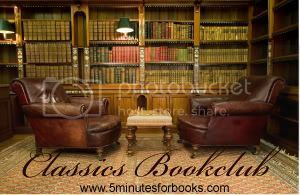 A fun way to participate on the site is through the Classics Bookclub. This past month the club read Hamlet. (I confess I did not read it since I'm not a big fan of Shakespeare.) However, the beauty of this type of bookclub is that you can participate on the months that you want to. It's a monthly event and we welcome you in whenever you'd like to participate. I'll be reading Les Misérables for the club in March. (February's selection is I Know Why the Caged Bird Sings if you are interested in joining in then.) I'm giving myself all of February to read Les Misérables . I'll be keeping a Reader's Diary of that book as I go along. Of course, there are plenty of ways to join in and we encourage you to do so! Click here for more carnivals -- and fun! It really IS a blast and we'd love to see you around and get to know you better. I just finished up "I know why the caged bird sings." I wish I'd never read it. Now to find time to write my review. =D HA! Well, I'm not claiming that I'm going to read that one, choosing instead of wait until March. And therein lines the beauty of this particular club - you can participate when, and only when, you want to! I didn't think I'd care for "I Know Why the Caged Bird Sings" very much so I'm taking a pass but am coming back in with the March read. I'll be very curious to see your review in February though! 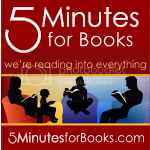 Carrie, I'm so excited to be a part of 5 Minutes for books! Thanks for highlighting the new column. I'm excited to share some fun crafts that can enhance the learning of the book. Thanks for the link!